We provide AngularJS Training and we have our own AngularJS Training Institute in Mumbai, we provide training online and as well as offline. Online trainings held via microsoft live meeting and skype (Time as decided). Offline trainings, currently we have placed only in Andheri Sakinaka, Mumbai - India. Questpond is into training since 2002 following best step by step practices. We just dont teach theory but we theory part using practical coding examples for better understanding. To know more about our style of teaching you can watch our angularjs videos. Along with training we also provide videos to brush up or revise all angularjs topics. These videos you can watch at home / office for practice purpose. To get extra confidence we do conduct mock up interviews based on jon nature. All our trainings have time scoped ,step by step and they target to complete a project. 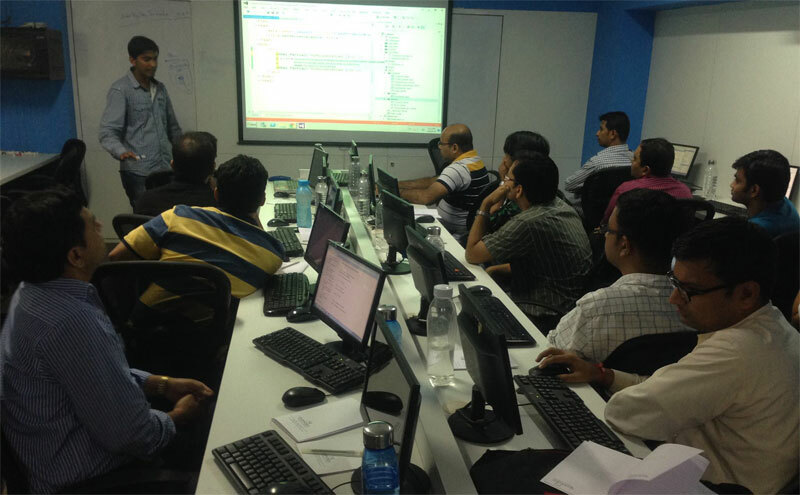 We do trainings for MVC, Sharepoint, Design Pattern, Java, Jquery, Asp.Net, Msbi, C#, Sql server and many more. Lab 1 :- $scope, $rootscope, controller, models, expression & debugging. Lab 6 :- Deferred and Promises. Lab11 : - JQuery with AngularJS. Lab12 : - Dot Rule and Controller AS Keyword. Lab 13 :- Angular Provider (Constant, Values, Provider, Service and Decorator). (Angular 2.0) Lab 2: :- 1-way/2-way binding, interpolations, template binding, event binding & cloning. (Angular 2.0) Lab 3: :- @Input, @Output & Eventemitters. (Angular 2.0) Lab 4: :- Angular Component Life Cycle. (Angular 2.0) Lab 5: :- Providers, Services and Dependency Injection. (Angular 2.0) Lab 6: :- SPA(Single Page Application) using Routing. (Angular 2.0) Lab 7: :- Validation using Angular forms. (Angular 2.0) Lab 8: :- Making HTTP POST calls to REST service (WebAPI) using Angular 2. (Angular 2.0) Lab 9: :- Lazy loading using Angular 2. (Angular 2.0) Lab 10: :- Use WebPack for Angular 2 application. (Angular 2.0) Lab 11: :- Use VS Code Editor.